As of 1 July 2009, under the Queensland Building Fire Safety Regulation 2008, all high occupancy buildings are legally required to appoint a Fire Safety Adviser. This course is for people who have been appointed as or wish to work as a Fire Safety Adviser (FSA). 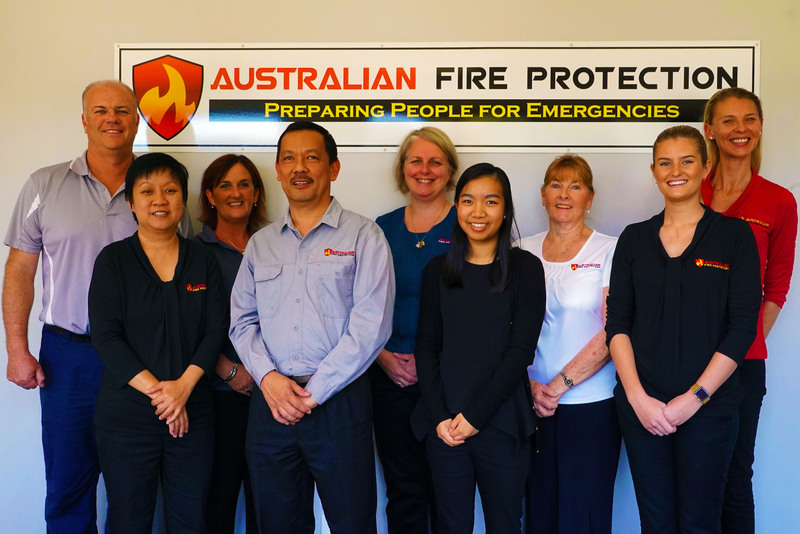 It teaches participants the skills and knowledge needed to assume the role and responsibilities of a Fire Safety Adviser in accordance with the Queensland Building Fire Safety Regulation 2008. The course also equips participants with the skills and knowledge needed to advise on appropriate emergency planning, making them familiar with all aspects of building fire safety. Who is this training for? This course is aimed at people who are nominated as Fire Safety Advisers in accordance with the Building Fire Safety Regulations 2008. What units will the course cover? Nothing other than yourself and your reading glasses if you wear them. Light refreshments will be provided. Who is this training for? Successful completion of this skill set meets the minimum requirements to be qualified and act as a Fire Safety Officer. Who is this training for? This course is for current Fire Safety Advisers (FSA) who wish to become re-certified and continue their FSA role. Prerequisites: A Fire Safety Adviser Qualification. If you completed your FSA qualification with another Registered Training Organisation, you will need to provide an original certified copy of your Statement of Attainment. Your Statement of Attainment if not already provided. Light refreshments will be provided. Who is this training for? Existing workers in any industry may benefit from this training as it is not industry specific. We can attend your venue for public training if minimum numbers are met. Alternatively, we can organise a venue near your business site, or you can attend our training facility. We service Brisbane, Ipswich, Gold Coast, Tweed (Northern Rivers) and Sunshine Coast. Australian Fire Protection offer a range of payment options. You can pay using your PayPal account. If you don't have a PayPal account its easy to set one up. Select the What is PayPal link and it will take you to their webpage. If you are wanting to pay by credit card you do not need a PayPal account but you will be directed to their login page. This allows you to still have the same protection with their online security. PayPal ensures online security. When you check out with PayPal, they pay the seller so your financial details stay encrypted and protected. Why should I choose to complete training with Australian Fire Protection? Our vision is to provide a Safer workplace through Emergency Preparedness and compliance. Australian Fire Protection has been providing Fire and Evacuation procedures to businesses for over thirty years. Our training is bothengaging and instructive. With over 100 years of combined staff experience in the Fire Safety Industry, we are confident that we are more than able to assist you. How often do I need to complete the Training? Once you have completed your Fire Safety Adviser course, you will need to complete a refresher as per Queensland Building Fire Safety Regulations 2008. Yes. We have partnered with Allens Training Pty Ltd (RTO 90909) to deliver a Nationally recognised course to ensure that all of the accreditation with ASQA are maintained. You will be issued a certificate from Allens Training Pty Ltd with our Logo and name on it on completion of your course. You will also receive a Warden/ First Response Training certificate non-accredited from Australian Fire Protection on completion of your course. When do I receive my Certificates? Typically, we will have your certificates issued electronically within 7 days of completion of the course and mailed to you within 14 business days. Security Policy: We use the Paypal secured online payment gateway.